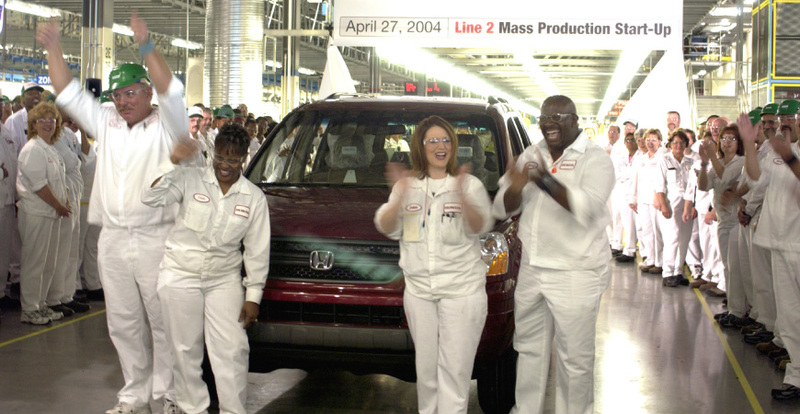 Since the start of production in 2001, our $2 billion manufacturing facility in Lincoln has incorporated innovative manufacturing technologies shared by Honda facilities around the globe. 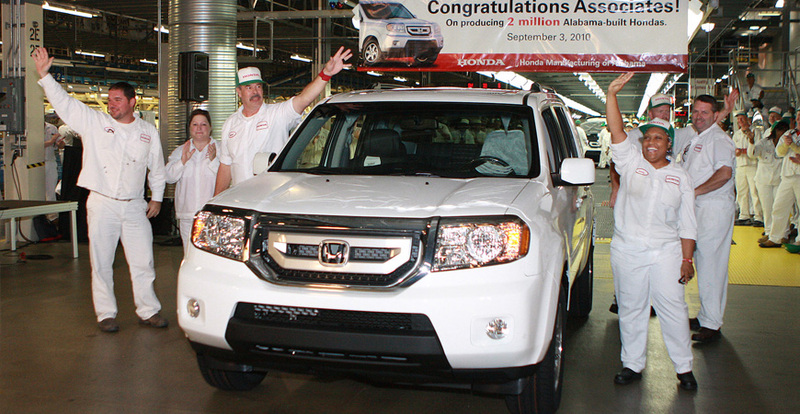 We also share Honda Motor Co.’s global vision of providing products of the highest quality at a reasonable price for worldwide customer satisfaction. 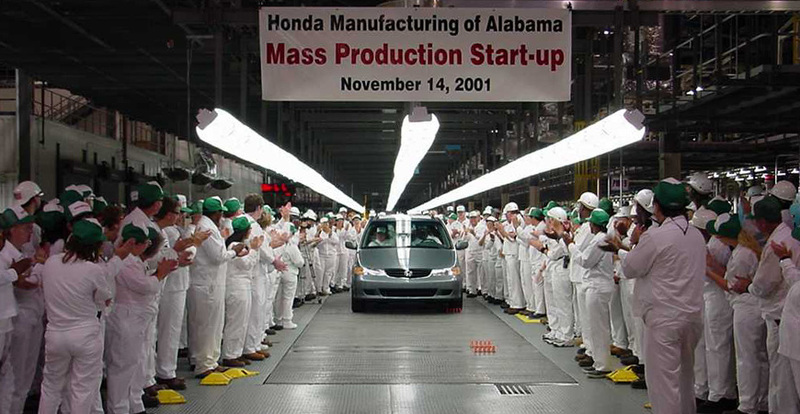 We announce our plan for a new $400 million Honda plant in Alabama. 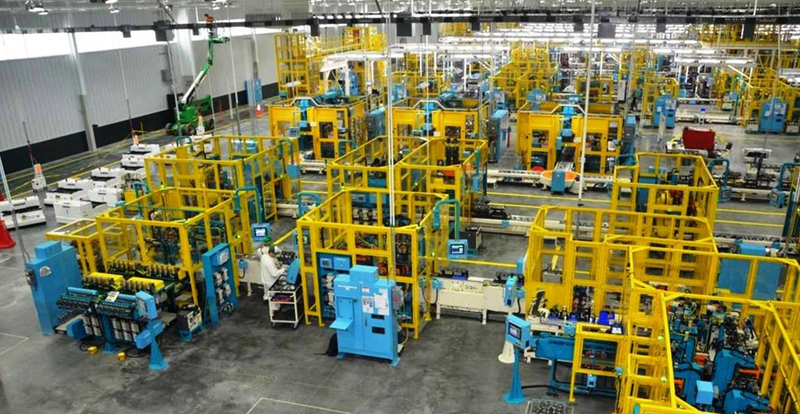 Initial projections predict 1,500 associates will produce 120,000 vehicles and engines per year at the facility. 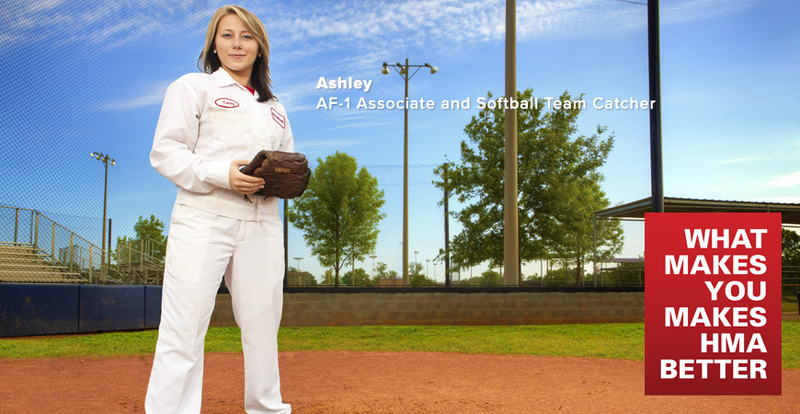 ​On April 25, we break ground on our new facility in Lincoln, Alabama. 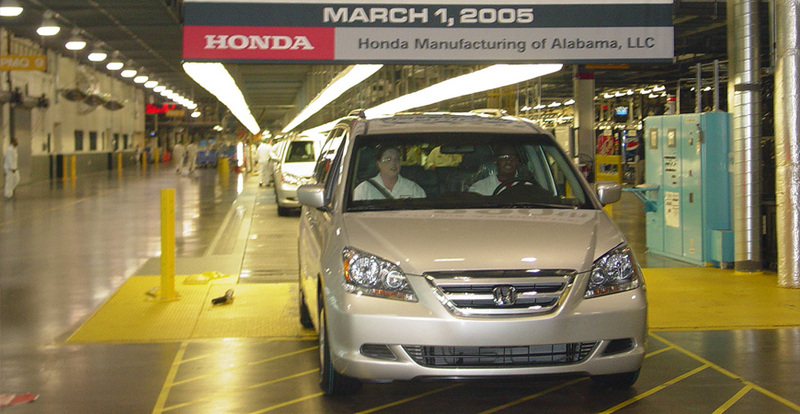 On November 14, the first Alabama-built Odyssey minivan rolls off the assembly line, six months ahead of schedule. 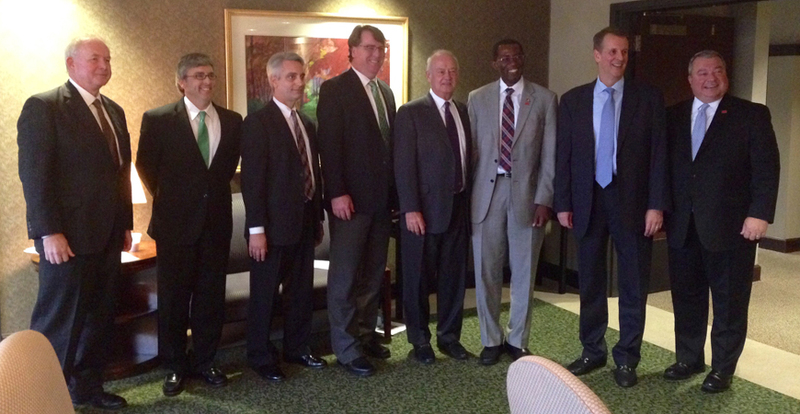 After less than a year, we announce a $425 million expansion. The addition of Line 2 will increase employment by 2,000 and increase annual production by 300,000 vehicles and V-6 engines. ​On April 27, we begin mass production of the Pilot on our second line. 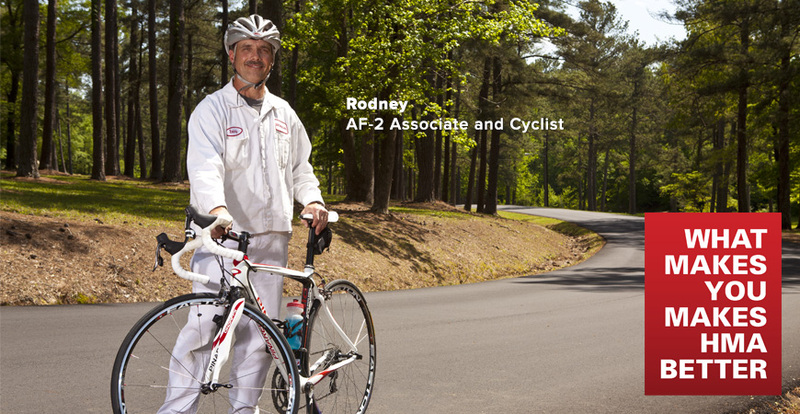 ​Alabama Governor Bob Riley joins us on May 7 to dedicate Line 2. 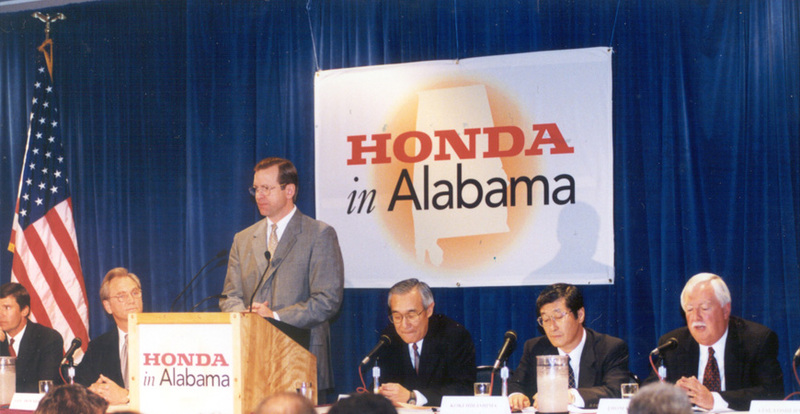 Honda Manufacturing of Alabama president Masaaki Kato announces our total investment has exceeded $1 billion and employment has reached 4,000 associates. 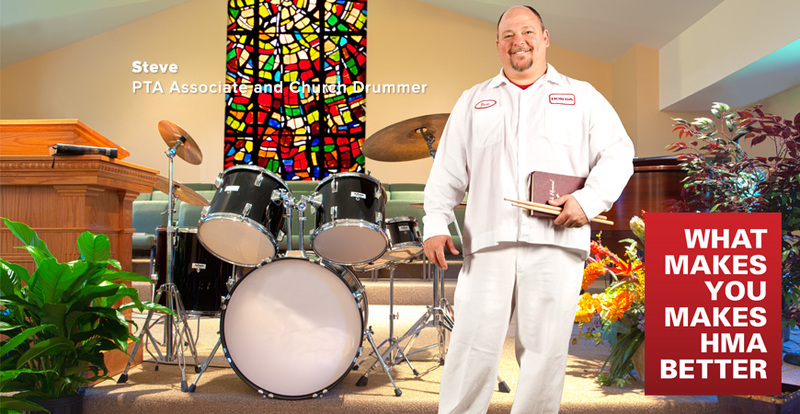 ​After less than four years of building vehicles and V-6 engines, we celebrate reaching the half-million mark on March 1. 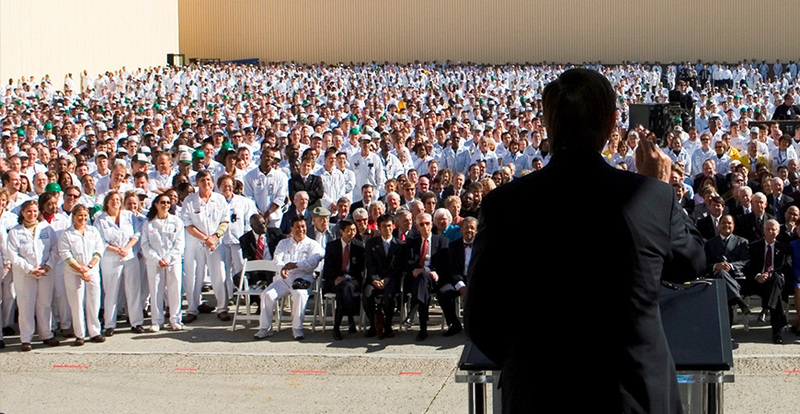 ​On November 3, we produce our one-millionth vehicle and V-6 engine. 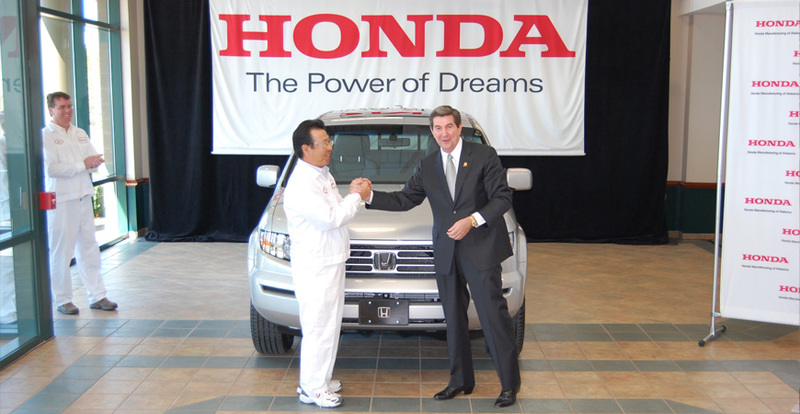 ​Alabama Governor Bob Riley returns on November 14 to help Honda Manufacturing of Alabama President Takashi Yamamoto and 4,000 associates celebrate five years of mass production. 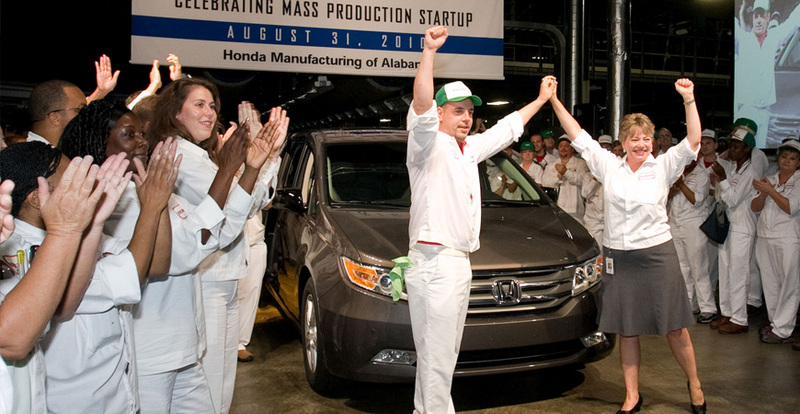 ​Honda announces plans on March 10 to transfer Ridgeline production from Canada to Alabama. 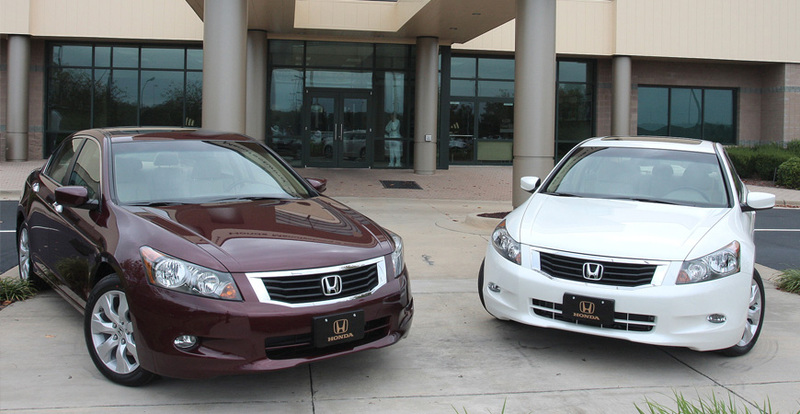 ​On October 13, we announce that production of the Accord V-6 Sedan will be added to Line 2. 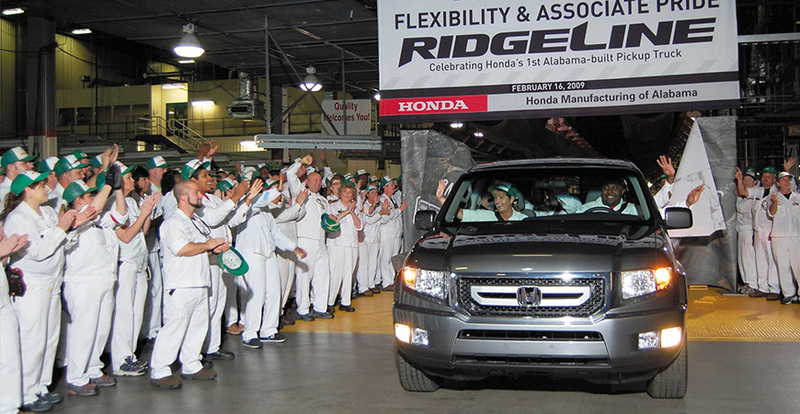 ​The first Alabama-built Ridgeline rolls off the line on February 16. 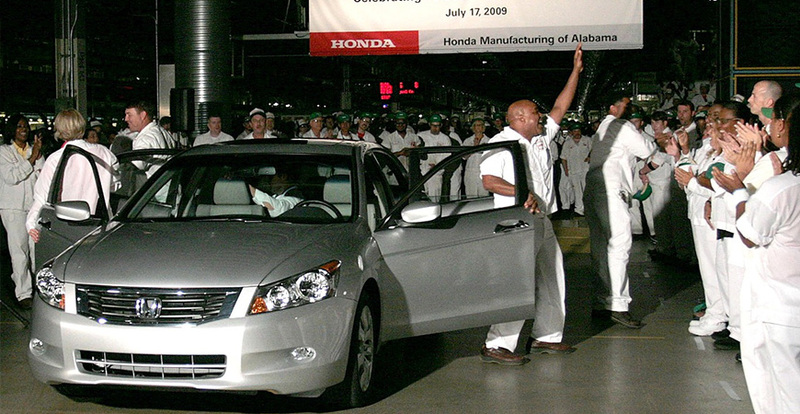 ​Line 2 produces the first Alabama-built Accord V-6 Sedan on July 17. 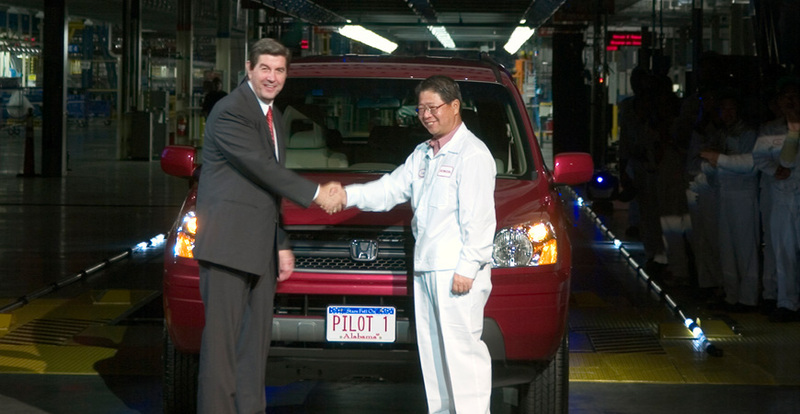 ​On August 31, production of the all-new 2011 Odyssey minivan starts up on Line 1. 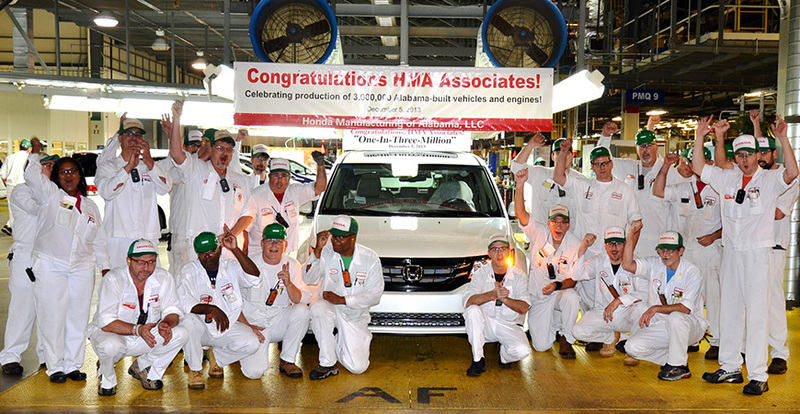 ​Less than a decade after starting production, we celebrate two million vehicles and V-6 engines on September 3. 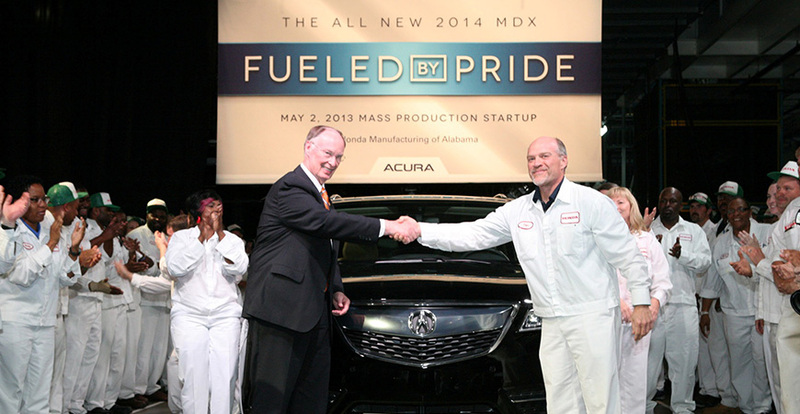 ​On May 2, we announce that the Acura MDX luxury SUV will be built in Alabama beginning in 2013. 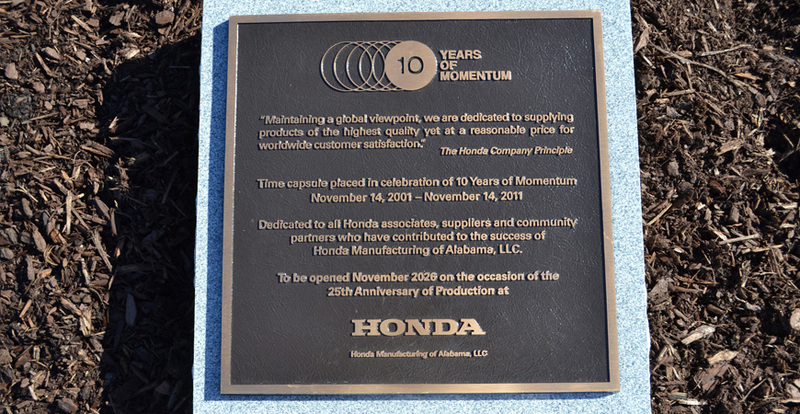 ​On November 14, we celebrate 10 years of mass production. 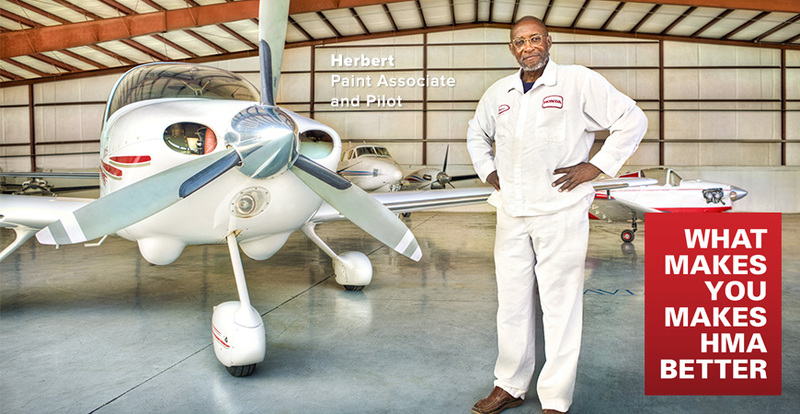 Our total investment reaches $2 billion, total production reaches 2.3 million, and our team has grown to more than 4,000 associates. 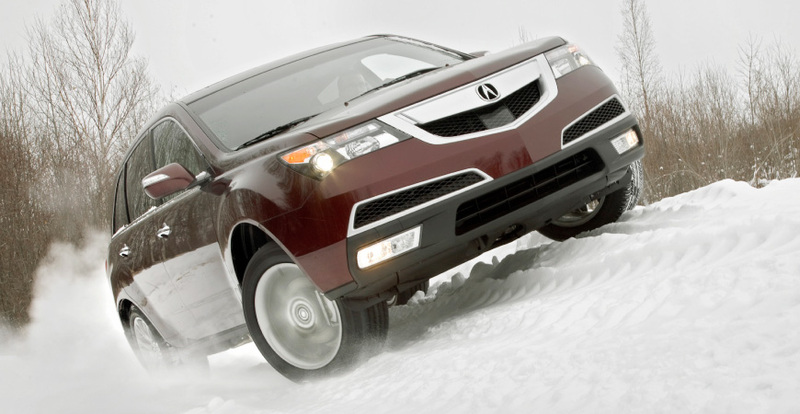 ​We celebrate production of the all-new 2014 Acura MDX luxury sport utility vehicle at our Lincoln facility on May 2. 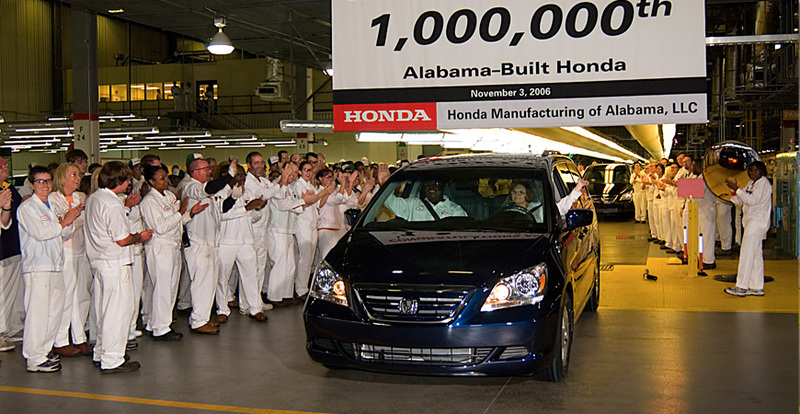 ​On December 5, we reach three million vehicles and engines produced here at Honda Manufacturing of Alabama. 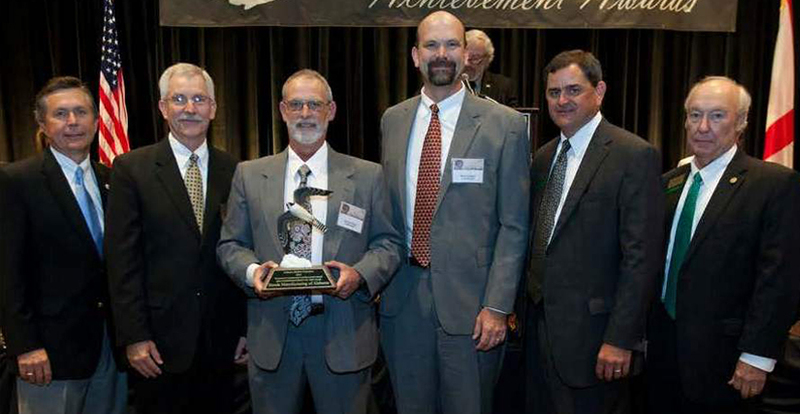 ​The Alabama Wildlife Federation honors HMA as Air Conservationist of the Year for our efforts to significantly reduce emissions. 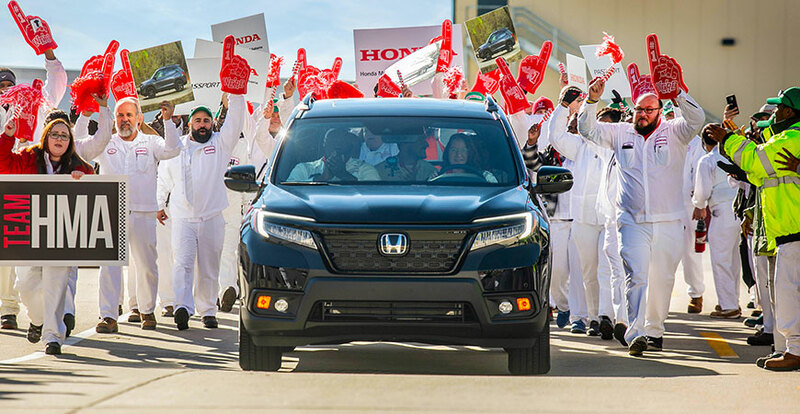 ​On April 17, we celebrate production at our new $71.4 million state-of-the-art automated engine assembly facility (AEI), the most advanced facility of its kind at any Honda plant in the world. 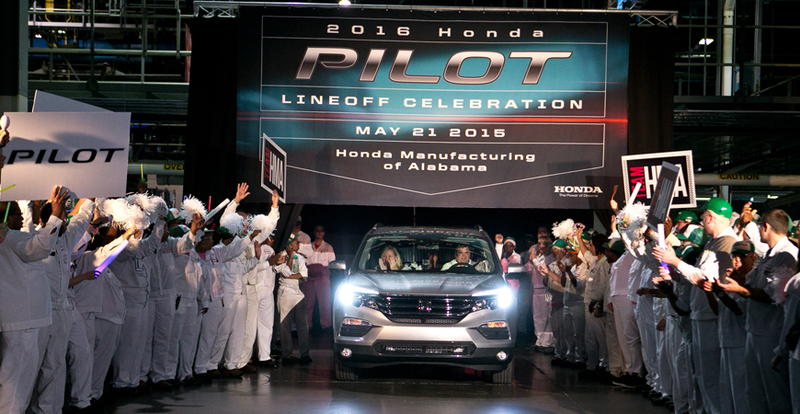 We mark mass production startup of the all-new 2016 Pilot SUV on May 21. 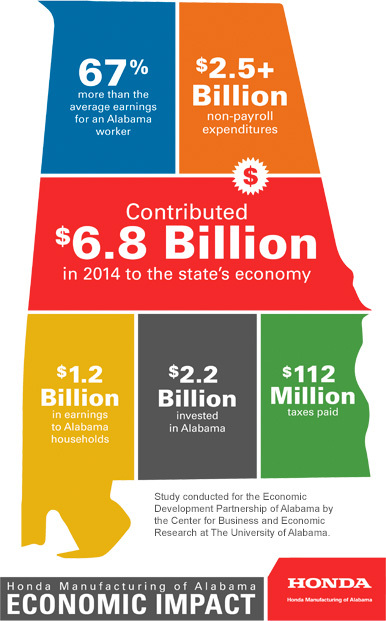 ​The Economic Development Partnership of Alabama releases a study showing that HMA contributed $6.8 billion to the state’s economy and created 43,000 jobs in Alabama in 2014. 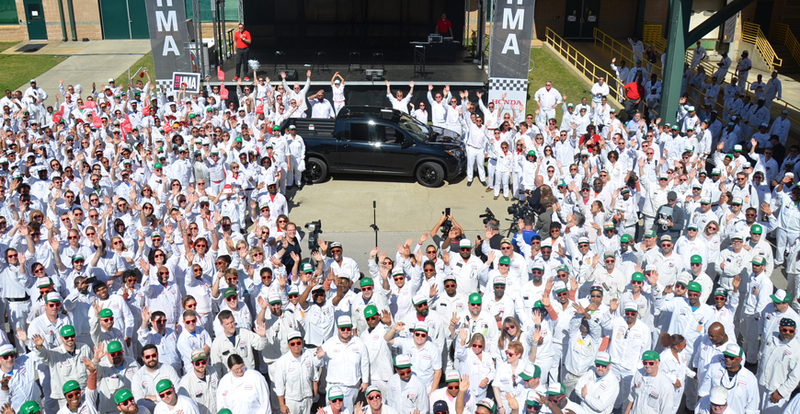 ​On May 5, we celebrate mass production of the all-new 2017 Ridgeline pickup truck. On December 6, we celebrate another milestone – mass production of the all-new 2019 Passport. 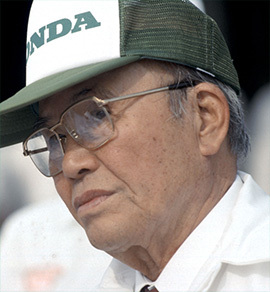 ​Soichiro Honda and Takeo Fujisawa were the founders of Honda Motor Co. 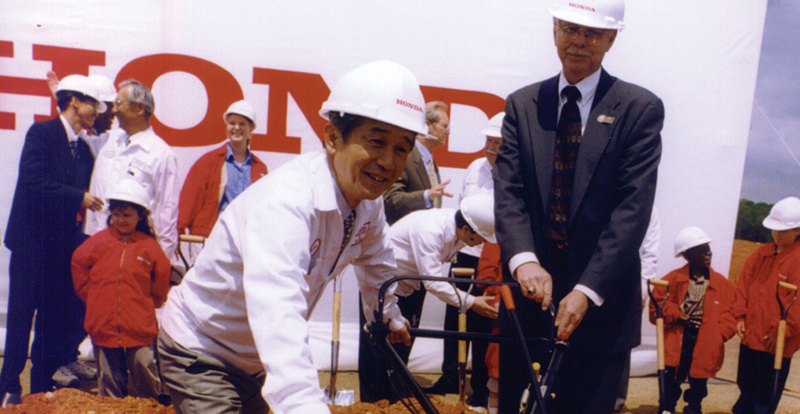 The legacy of commitment to customers that drives our company is embodied in a legacy known as The Honda Philosophy. 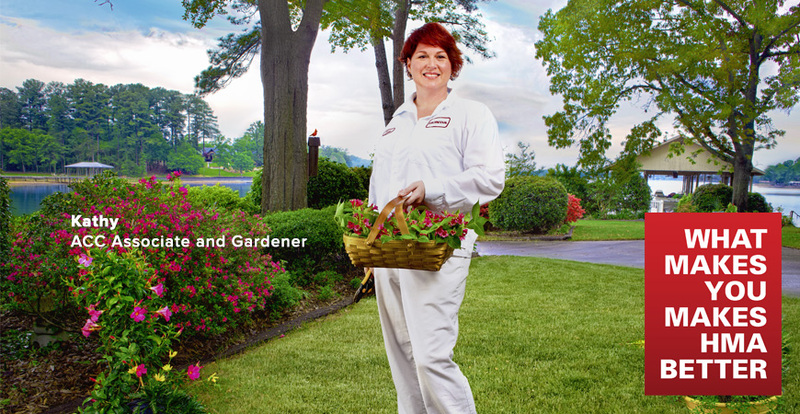 Honda comprises individuals working together for a common purpose. 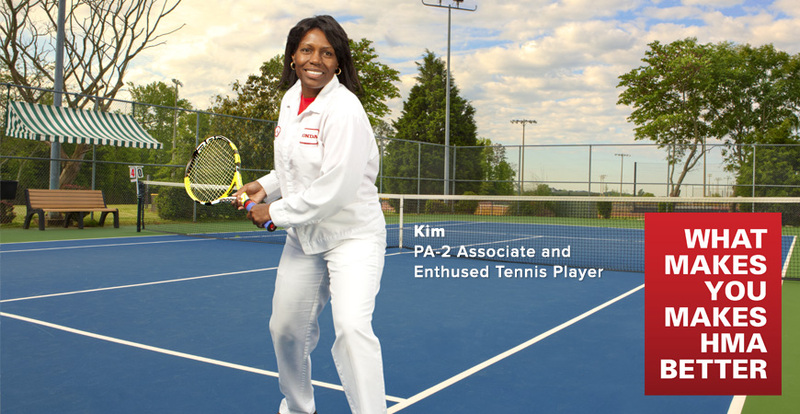 Each individual, acting appropriately within his or her role, must translate this philosophy into actions. 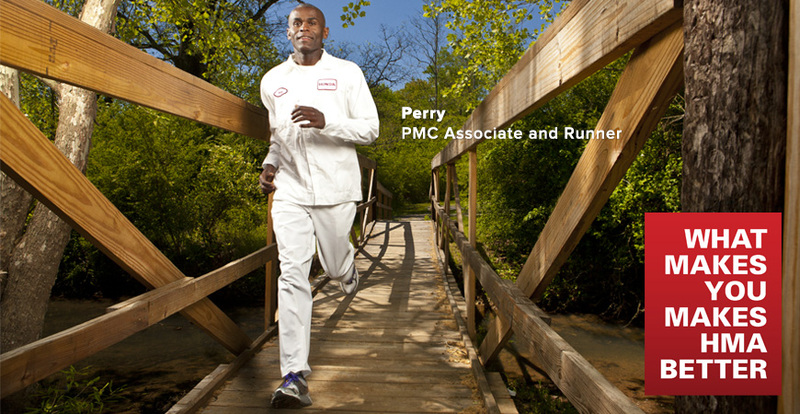 It is this contribution from each associate that contributes to the company’s success. And every associate should be honored for these efforts. The human being is born as a free and unique individual with the capacity to think, reason, and create — and the ability to dream. 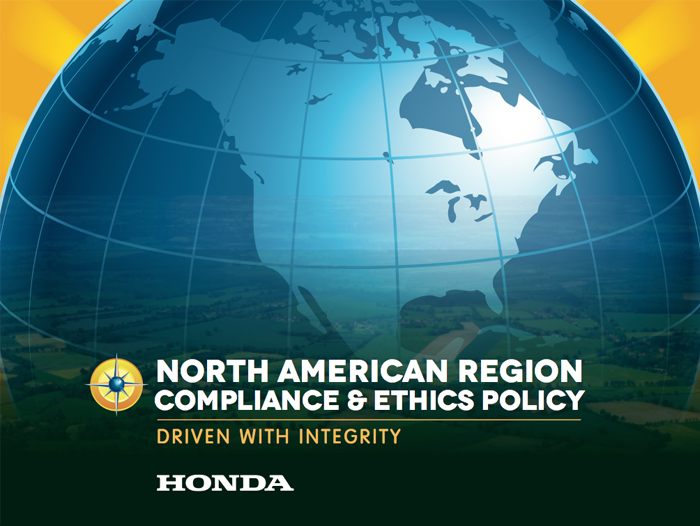 Honda’s fundamental belief in Respect for the Individual calls on Honda to nurture and promote these characteristics in our company by respecting individual differences and trusting each other as equal partners. 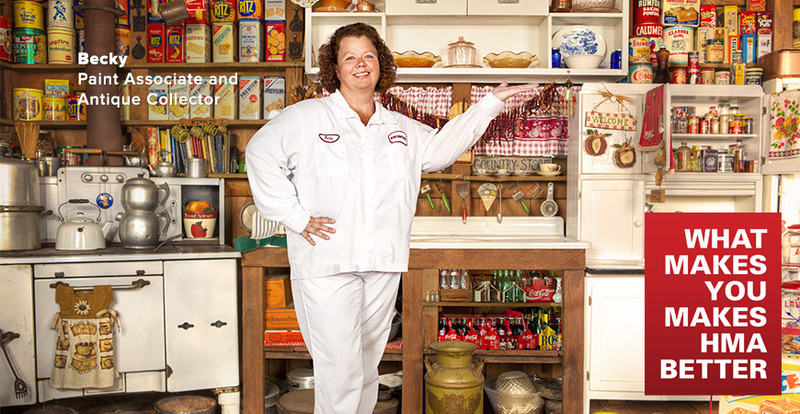 If you want to know what makes us tick, you have to know our team. 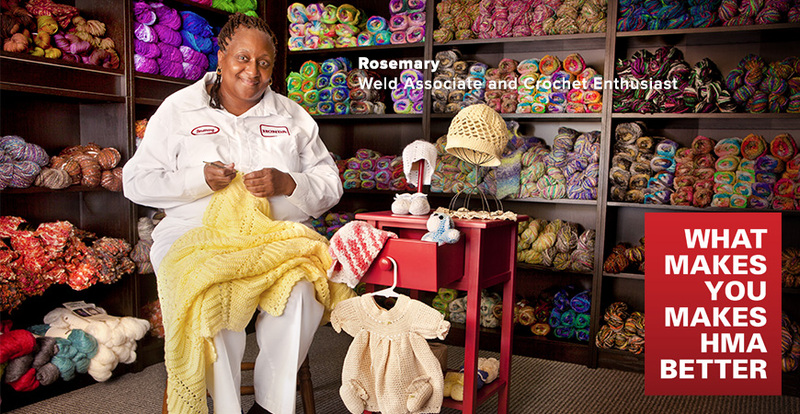 Here, we’ve featured just a few of the 4,000 associates who help make us and our products better every day. 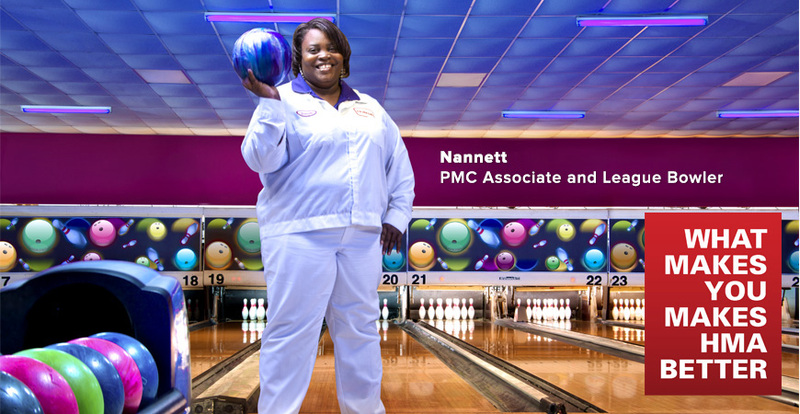 Each of our associates is special and unique, and their individuality makes them each a valuable part of our company. 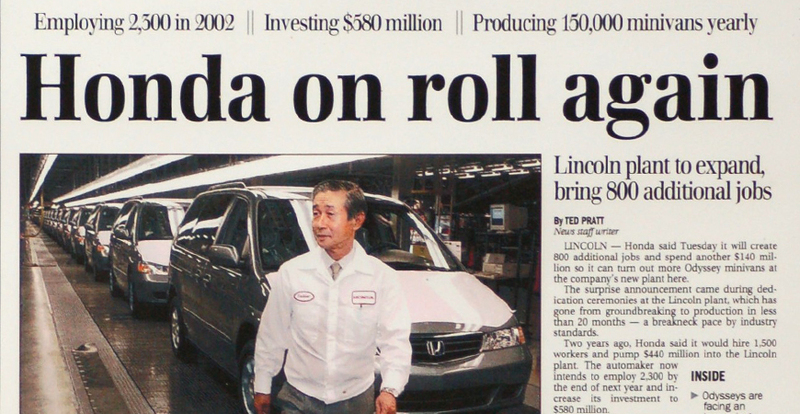 ​We share Honda’s global leadership in environmental stewardship. In fact, our facility here in Lincoln was established as the very first “Zero Landfill” automotive plant in North America. Since the start of production in November 2001, we’ve built more than 3.1 million vehicles and engines… and have sent nothing to a landfill. We’ve identified alternative uses for leftover materials and have even found ways for our cafeteria to recycle. 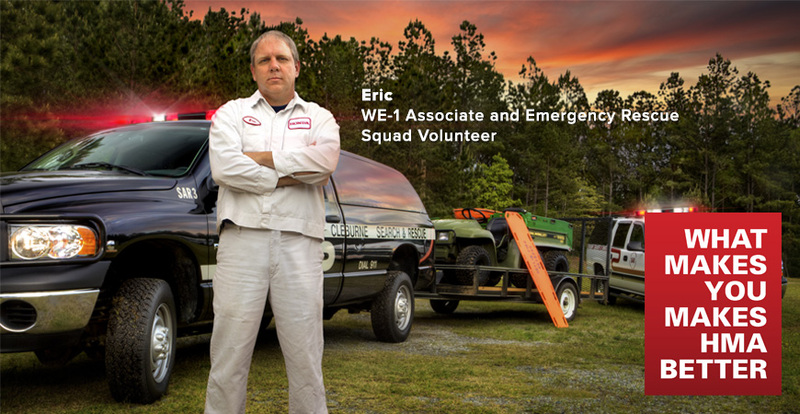 ​We’re known for building cars that are as safe as possible. But that’s just part of the story. We want to build safe cars safely. 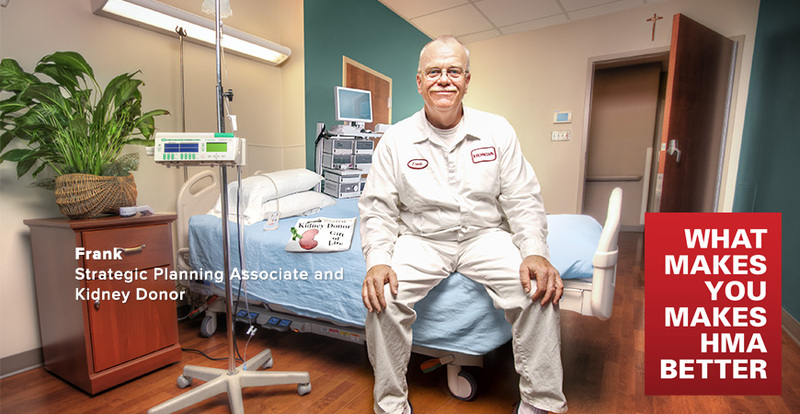 We emphasize safety at every stage of production. 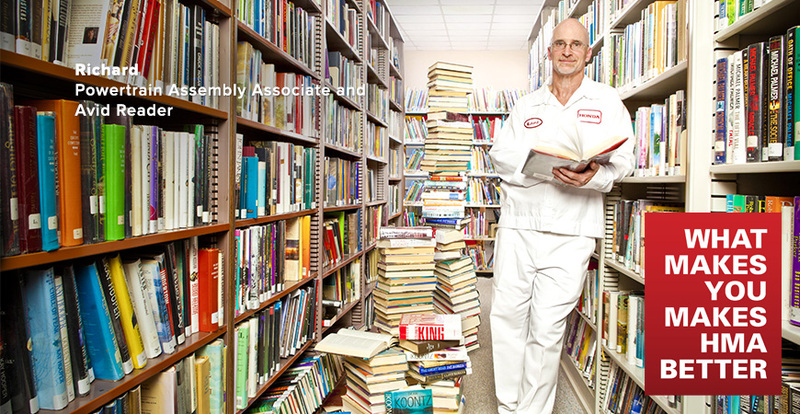 Our engineers work closely with our manufacturing associates so they can understand each area and design parts that make new models safer to build.